This March 26th we celebrate the first birthday of AIR MAX day! A day to pay homage to everything Air Max, with the date signifying the release date of Nike’s first shoe with a visible air unit! The Air Max 1! To think this was back in 1987, it was way ahead of it’s time and is still a cult classic nearly 30 years later. Urban industry have again asked me for the almost impossible task of selecting my favourite Air Max shoe, as a massive fan of the entire Air Max range it’s no easy task! Secondly the AM Plus! Since the release of this silhouette back in 98 I have been fixed purchasing nearly every colour way from release until around 2006/07 when the shape of the midsole changed and colour ways started to be not so unique, still a favourite of mine none the less. Lastly the AM 90! This shoe has had so many great colour ways over the years, Infrared probably being my all time favourite. The colour blocking is unmistakable and is so vibrant you really can’t miss them, My absolute go to shoe that I wear most days and still have multiple pairs after beating so many pairs in the past. For this reason I have chosen the AM90 as my favourite Air Max! 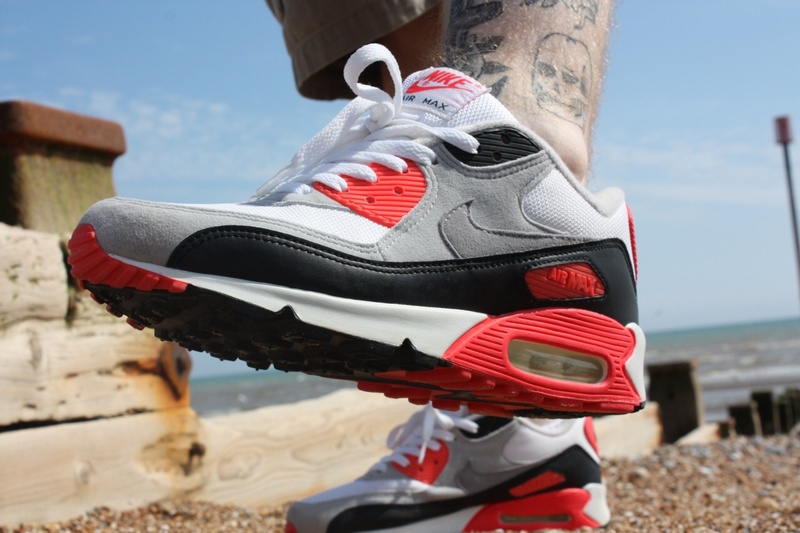 When I see the original AM90 In its OG infrared colour way it’s like a piece of art to me, to think this shoe is now 25 years old is amazing, a true piece of Air Max history! Be sure to head over to Sam’s Instagram page and follow for all your Sneaker needs!